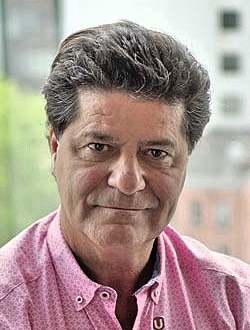 One of the loudest voices in Canada's corner during talks to replace the North American Free Trade Agreement was Jerry Dias. 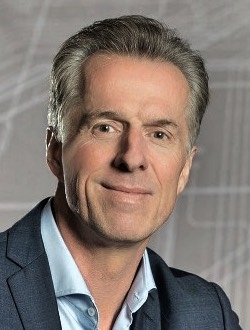 As president of Canada's largest private-sector union, Dias played an instrumental role in making sure Canada's automotive industry wouldn't face damaging auto tariffs as a result of a new trade agreement. Those talks led to the United States-Mexico-Canada Agreement on Sept. 30. "There are some incredible victories in this deal, things we've been arguing and fighting for for the last 24 years," Dias said. Dias' activity on international trade follows up a momentous year in 2017, in which Unifor held a nearly monthlong strike against General Motors at the CAMI plant in Ontario. Dias, 60, long known for speaking his mind and giving clear answers, remains a shining example of being a good advocate for labor and leads his organization in a transparent manner. Magna once preferred to keep a low profile and focus on its knitting. But that's changing: CEO Don Walker has a lot to talk about on multiple fronts. Walker, head of the world's No. 3 auto parts company and North America's biggest, this year and all of them portray a technology provider transcending the traditional role of an automotive supplier. For starters, there was Magna's $200 million investment in Lyft with an eye toward developing new powertrains for autonomous vehicles that the ride-hailing service wants to deploy. At the same time, Walker, 62, said Magna will form two joint ventures in China with Beijing Electric Vehicle Co. to engineer and manufacture electric vehicles. He told analysts this year that to address the influx of advanced new business, the company will throw $100 million more into its planned annual r&d budget. The year also saw the company's Magna Steyr vehicle-manufacturing unit launch production of two Jaguars: the E-Pace and the all-electric I-Pace. At the same time, the company opened a body-and-chassis plant in Mexico to supply BMW and Mercedes-Benz and a large aluminum die-casting plant in England to supply Jaguar Land Rover with lightweight "high-stiffness" parts.